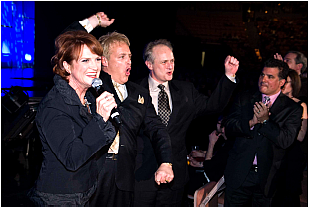 Watch The Video Of Buddy & David Receiving The Award! 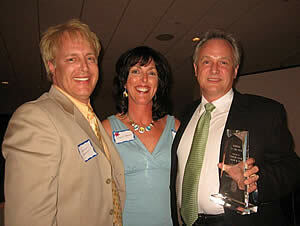 Redken chose Charles David Salon & Spa as the first ever inductee into the company’s Club 5th Avenue Hall of Fame. 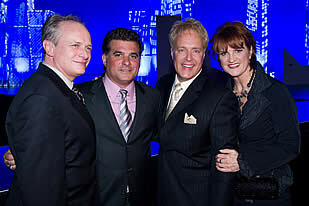 During a private reception at the Redken Exchange in New York City in November 2010, salon owners David Honeycutt and Charles Dudley were presented with the award, which will now be given annually to a Redken Club 5th Avenue salon that demonstrates dedication and commitment to the company’s philosophy and lifestyle, as well as excellence in business marketing. “Being the first inductee into Redken’s Hall of Fame is a thrill for our team and an experience we will never forget,” said Honeycutt. 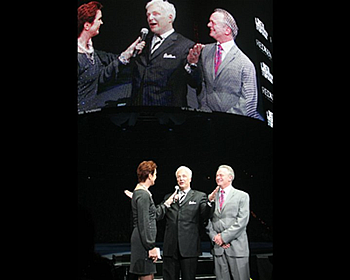 Charles David was recognized on stage at the 2011 Redken Symposium in January in Las Vegas. “We are honored to present this well-deserved award to Charles David, a salon that since becoming a Redken Club 5th Avenue Elite Salon, has embraced our principles to learn better, earn better and live better,” said Karen Fuss-Zip, Redken vice president and general manager. Many major motion pictures have been filmed in Massachusetts in recent years and one of our own stylists has been busy working on the high profile sets. Stylist Kristin Barry has been in demand at Charles David for many years and now her work is being seen on the big screen in the Oscar nominated film “The Fighter” starring Mark Wahlberg and Christian Bale. 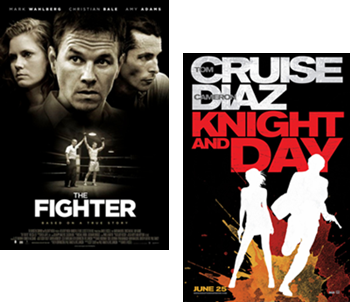 Kristin’s incredible talents were also put to good use for the film “Knight and Day” starring Tom Cruise and Cameron Diaz. We are so proud of Kristin for these great accomplishments and for the work that she does for our guests on a daily basis. Buddy has returned to Hanover filled with excitement and new ideas straight from Donna Karan’s New York Fashion Week runway. As a top colorist, Buddy had been chosen to do hair color for the DKNY models. Many top celebrities, including Vera Wang and Paris Hilton were there to see the upcoming trends in fashion, hair color, beauty and style. The fall fashions were beautiful. Mostly earth colors with jewel tones. Everything seemed very 70's inspired with patchwork shapes and mixing fine velvets with silks. Makeup was very neutral with a palette of smoky beiges and browns. Most of the focus was on the eyes, with neutral matte lips, and pale skin tones. Looks like Fall is the season for gorgeous Redheads,” texted an inspired Buddy on his journey home. 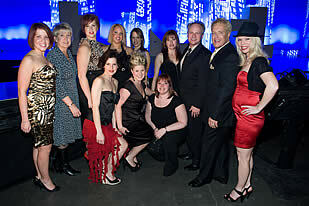 Charles David Salon wins “Redken Elite Salon of the Year 2008” for the third year in a row! view on YouTube . . .